I think I'be been scrolling through a few too many of Rihanna's Instagram pics. She's clearly rubbing off on me! The most 'thug' I've ever been is sitting at the back of the bus listening to DMX. Sad. At least my nails look the part. For this look I used H&M's Nerd for the base colour as it is pretty close to my skin tone. 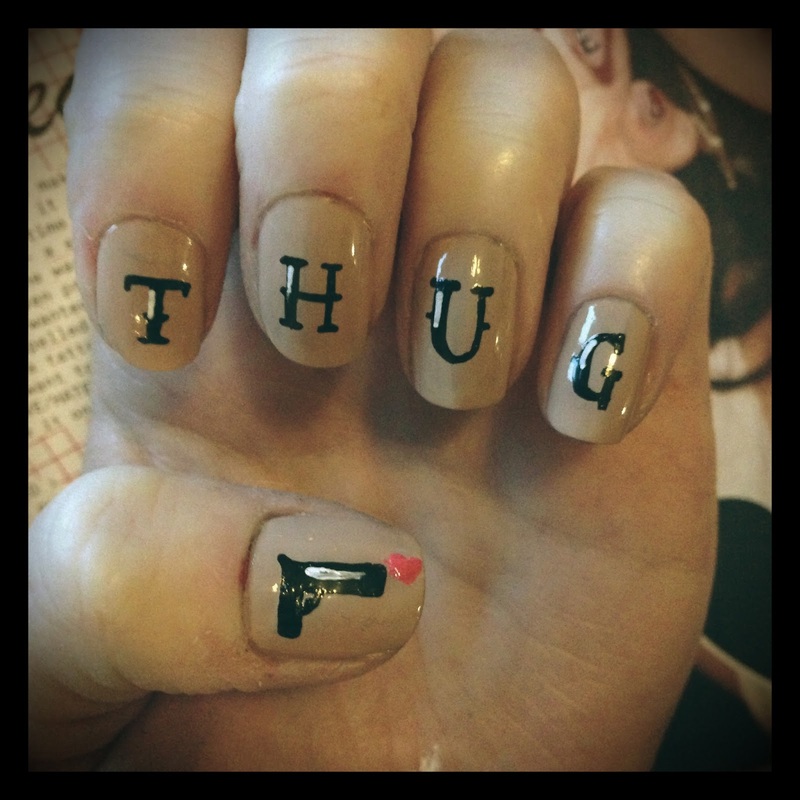 I then used Topshop Nail Pens in black and white to add the letters and gun. I used a pink nail pen that I picked up in Primark for the heart.